pilihan fans: Yes. 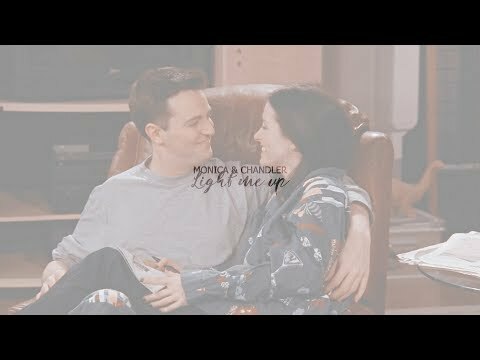 "If anda I I not married oleh we are 40 how about we get together and make 1"
what is your favorit monica and chandler moment? It was just after three when she got up and rushed to the bathroom for the detik time that night from morning sickness. Chandler woke up when she layed back down. "Monica, look! Look what I found! anda gotta see!" Chandler dashed into the living room from the bedroom and jumped onto the dipan, sofa in excitement. His surprise was cleverly held behind his back. Copyright issues: I don't own this Article, I just thought it was really good and wanted to share it with everyone. This story is pretty long so i'm going to membagi, split it into three parts. a pop quiz question telah ditambahkan: What did Chandler say WEENUS stood for in the episode, "The One With The Stoned Guy?"